AOP is without a doubt great technology and the latest in pool sanitizer systems. Newcomers to the industry and your customers may not know how AOP differs from ozone and other sanitizer technologies. With the latest technology and advances in pool and spa water treatment systems, it’s become increasingly important to know what is effective for your customers. CMP has put together some easy-to-understand responses to common questions about AOP to help clear up the mystery surrounding the most powerful advanced sanitizer on the market. Advanced Oxidation Process (“AOP”) is a powerhouse swimming pool sanitizer. How so? AOP is a double-threat combination of UV-C and Ozone. When Ozone reacts with UV-C, it transforms into highly-reactive oxidizers called Hydroxyl Radicals. According to industry professionals, oxidizing potential is a huge part of swimming pool water management. AOP oxidizes and sanitizes, killing 99.9% of harmful contaminants in pool water. It also clarifies the water by acting as a micro-flocculent (clumps things together), effectively “polishing” the water. 2. HOW DOES AOP DIFFER FROM OZONE OR UV? AOP quickly destroys chlorine-resistant organisms and reacts much faster than UV-C or Ozone alone. It also oxidizes chloramines and pathogens better than Chlorine, Hydrogen Peroxide or Ozone. 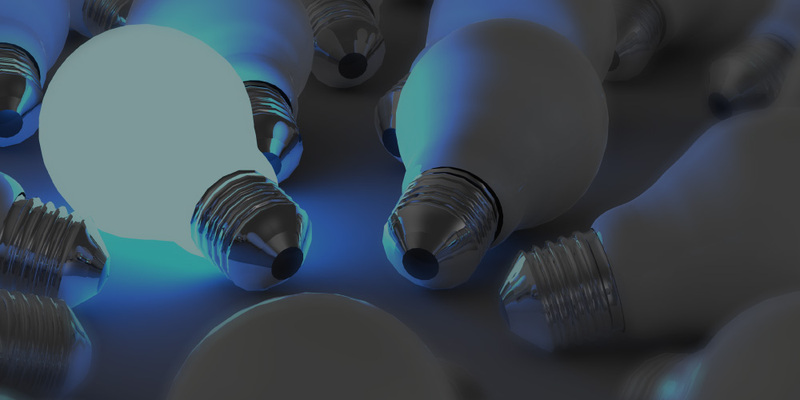 UV-C sanitizes, but unlike Ozone or AOP, it is not an oxidizer. Hydroxyl Radicals created by AOP are highly reactive, and a powerful weapon against Cryptosporidium and other harmful microorganisms. In AOP systems, the unstable Hydroxyl Radicals react with dissolved waterborne contaminants in a series of strong oxidation reactions. This process happens almost instantaneously, destroying contaminants that chlorine alone takes hours to sanitize. 3. CAN AOP MAKE A POOL CHLORINE FREE? Even with AOP, it is important to have a residual sanitizer in the water. AOP destroys microorganisms and breaks down chloramines. Chlorine is a residual in the pool that reacts with contaminants in the open water, even when the pump is off. By allowing AOP to oxidize organic and inorganic compounds, chlorine is free to work better. To make pools safer, the Model Aquatic Health Code (“MAHC”) recommends using secondary and supplemental sanitizers that keep working where chlorine stops. The Complete Modern Pool® has both a powerful advanced sanitizer and a residual; the two treatments work together. Does AOP save any chlorine use at all? Yes! You must maintain the recommended 1-3ppm of chlorine, even with AOP. However, depending on bather load, you should need much less chlorine to maintain that residual. WHERE CAN CUSTOMERS GO TO LEARN MORE? 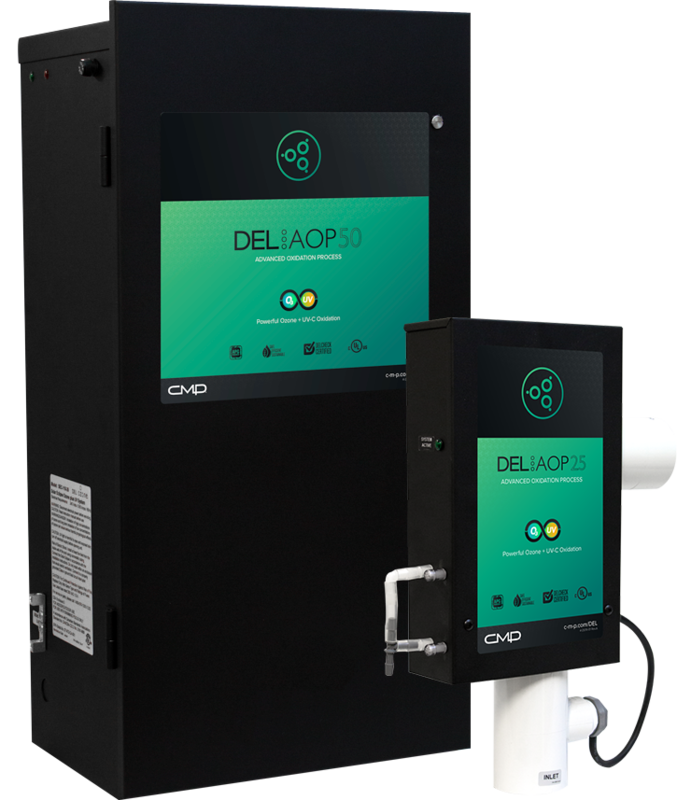 CMP offers the compact DEL AOP 25 and the NSF Certified AOP 50, for pools up to 25,000 gallons or 50,000 gallons respectively. DEL AOP systems produce ozone with APG corona discharge cells and can produce far more ozone than UV bulb-based ozone systems. The DEL AOP 50 is tested and certified by NSF as a microbial sanitizer. Learn more and find other available sanitizer products at c-m-p.com/modernpool. Having a residual sanitizer in the water is an integral part of what we call the Complete Modern Pool®. Keep swimming pools clean, clear and safe with Advanced Sanitizers from CMP. Find available sanitizer products at c-m-p.com/modernpool.